In the early days of Google Earth (2006), I discovered the system's ability to create video flyovers, and pioneered the use of these video clips in infrastructure proposals, studies, and projects for the engineering design company I worked for (Maunsell / AECOM). The first of these in April 2007 was for a project that was a study of the corridor for the Moreton Bay Rail Link, from Petrie to Kippa Ring. This study in 2007 led ultimately to the design and construction of the Redcliffe Peninsula train line, opened in October 2016. My history with this project piqued my interest, and I was keen to investigate the changes to the landscape and urban footprint along the corridor. I recreated the flyover using imagery from 2007 when the corridor was vacant, and imagery from 2016 which shows the completed rail corridor. 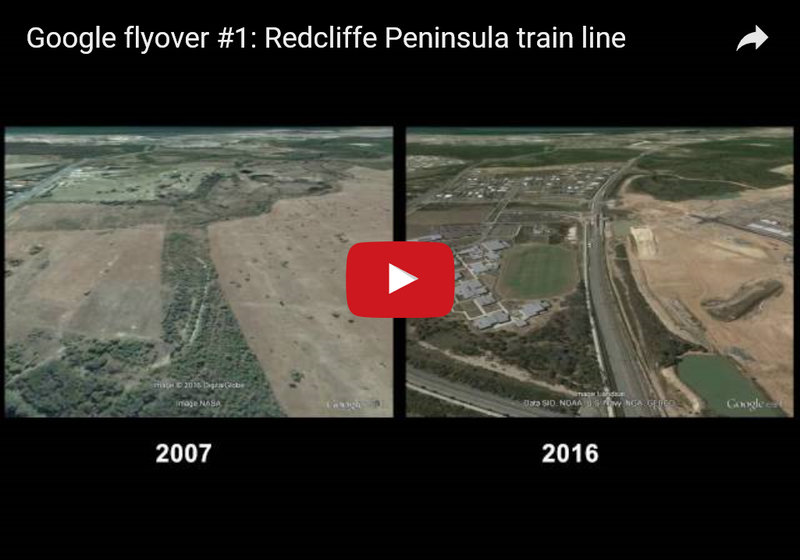 This video shows the 2007 corridor compared side-by-side to the 2016 finished railway. 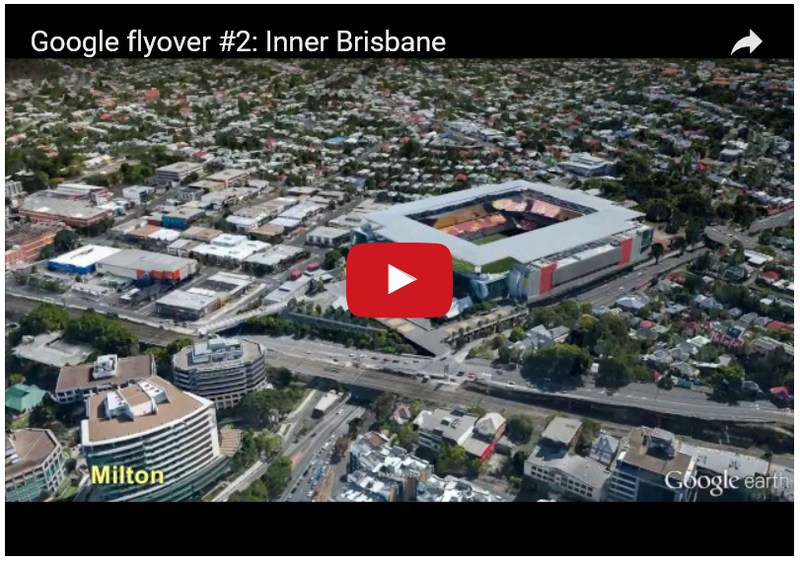 Some of the changes along the way are significant, and reflect the serious development that has taken place in the area, consistent with that throughout the Brisbane region in general. Who likes flying and seeing things from the air? I do. The release of Google Earth around 2005 was in my opinion one of the single-most important breakthroughs in the history of the spatial industry. In a single system, Google had managed to do what the industry had been trying for decades - to make people aware of the critical role played by geographic data and maps. Google Earth was a game-changer in every sense of the word. Being a 3D system incorporating topographic features and terrain, one of the very useful features has always been the ability to create 3D 'flyovers', and whilst working for engineering design company AECOM, my Google flyovers became an essential part of engineering infrastructure proposals, studies, and projects we were working on. In the early days we were able to create 3D buildings and structures using SketchUp software, but these were often fairly primitive and rather time-consuming to produce en-masse. One of the major recent innovations by Google was the development of their '3D Cities' layer. Huge areas in many of the world's cities have been faithfully modelled in 3D to produce rather spectacular detail - including buildings, houses, bridges, trees, and even boats, ships and building cranes. Disclaimer: The picture is only as good as the data that sits behind it, and many will notice that there are some buildings not included, or completed buildings shown under construction. Please bear in mind that the imagery is not absolutely current, and the 3D information shown is only as new as the underlying imagery itself.